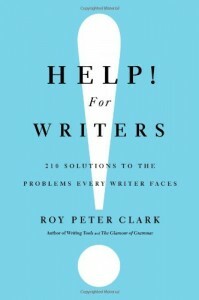 Roy Peter Clark wrote the 2010 bestselling book, The Glamour of Grammar, and on September 21, 2011, his new book will be released. The new book is entitled Help! for Writers: 210 Solutions to the Problems Every Writer Faces. Mr. Clark joins us here for a guest post, answering a key question for us. JA: Should you write the ending of your story first? RPC: The paragon for this paradigm is J.K. Rowling, who has told the story many times that she began writing the seven-book Harry Potter series by writing the ending first. Not the ending of the first book, mind you, but the ending of the seventh book! She even teased her faithful readers with the news that the last word in the series would be “scar.” She changed her mind. It helped me to write to an ending for my 1999 newspaper serial novel “Ain’t Done Yet.” The story, in 30 chapters, described a burned-out reporter hired to investigate a cult planning a terrorist attack for New Year’s Day 2000. Max Timlin, the reporter, feared two things most of all: lightning storms and high places. So, of course, he would fight to the death with the villain on top of the Sunshine Skyway Bridge in a fierce storm. Because I knew the big arc of the story, I could focus on the little arcs, those moments of surprise that reveal patterns, cliff hangers, and character. I like the advice of a novelist (don’t remember his name) who said that writing fiction was like driving a car at night along a winding country road. You don’t need to see all the way to your destination, as long as your headlights can illuminate a stretch of the road ahead. In other words, if you can write your way to the end of a scene, you can build narrative momentum toward what’s coming next. Interested in winning a copy of Help! for Writers: 210 Solutions to the Problems Every Writer Faces? If so, just return to this site on Wednesday, September 21st to see how you can win one of five (5) copies that we’re giving away! Roy Peter Clark, author of the new guidebook Help! for Writers: 210 Solutions to the Problems Every Writer Faces, answers a key question for us. I’ve thought about this more and more as I come across works by newer and debut authors; whose works often show promise (“There’s no heavier burden than a great potential,” to quote the wise philosopher Linus) but lack a firm and unified voice. 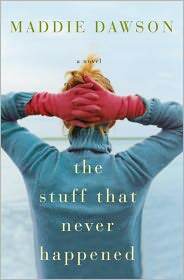 All too often I see the debut novel that starts off like a house afire but then dwindles away from the halfway point until the ending. Perhaps it’s because the writer’s energy and confidence faded out; more likely, some type of scheduling conflict meant that the editor involved did not have the time to devote to smoothing out the rough spots in the second half that was devoted to the first. In order to complete his/her task, the skilled editor must edit and sometimes brutally cut out that which does not seem to fit. And this is where Mailer’s advice is so important to the new writer, the prospective writer. I will restate his advice this way, in my own words: Don’t argue, don’t take it personally. The very best, the most talented, of writers have found that they must trust their editors. The skilled editor can take multiple, disparate voices and make them harmonize like the fine instruments in an orchestra. As an example, take the short story collection about true love, Love Is a Four-Letter Word. 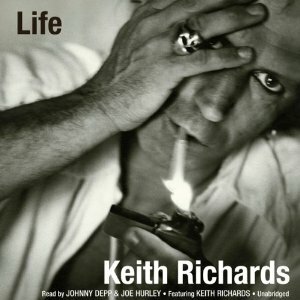 This compilation contained 23 stories written by just as many writers. Yet in the hands of editor Michael Taeckens, the collection never seemed choppy or disjointed. I found that it had a singular mid-range tone – not too loud, nor too soft – that made it seem quite enjoyable. And it wasn’t just me. One reader noted at Amazon that, “…this collection was pretty good… not just in theme but in tone.” Said another, “…the stories flowed quite seamlessly from one to the other. We have Mr. Taeckens, the editor, to thank for that.” Exactly! When a highly skilled editor can take 23 voices and make them sound like one melodious voice, just think of what he/she can do to assist the previously fledgling, isolated writer in finding his or her natural voice. One other key function is left up to the editor. 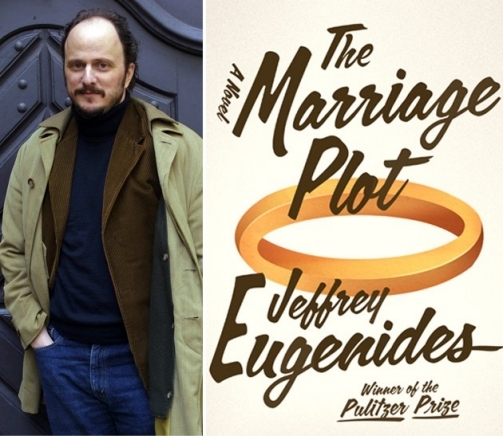 Carolyn Parkhurst wrote, “…the ending of a novel should feel inevitable. You, the reader, shouldn’t be able to see what’s coming… you should (feel) satisfied that there’s no other way it could have gone.” If the draft ending of the book does not feel natural and inevitable, it’s up to the editor to tell the writer so. In the end, it does come down to that one word: trust. Mr. Mailer was so right. Note: Thank you to author (The Language of Trees: A Novel) and former professional editor Ilie Ruby, for serving as one of my editors on this piece. And thank you to Daniel D. Holt for serving as the second editor. I am asked many questions frequently. Or, at least in my head, I am asked questions frequently. Or maybe that is just the voices. Sometimes it is hard to tell. The voices can be loud and kinda pushy. Anyway, here are some questions that I may or may not be asked frequently. A: Yes. It’s totally real. It has words and everything. It’s very real. As is the pink elephant standing next to you. Watch out, it’s about to pee on you. Q: I heard you wrote a book called STAY AT HOME DEAD but you’re using a different name, Jeffrey Allen. What’s that all about? A: Counting all the money we make. (BURSTS INTO LAUGHTER) Kidding. Um, probably writing the first word of the story. Q: If you could write one piece of advice about being writing, what would it be? 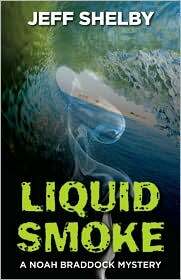 Liquid Smoke: A Noah Braddock Mystery (Tyrus Books, $15.95, 300 pages) will be released on August 22, 2011. Jeff Shelby is the author of the novels Dead Week, Killer Swell and Wicked Break. He lives in San Diego, and sometimes responds to the name Jeffrey Allen. But then sometimes he doesn’t.